For years fitters have heavily relied on optical systems and angle based algorithms to come up with integration solutions between bike and rider. The more asymmetric the client, the more expertise required of the fitter. As MRI’s revolutionized the medical field, the addition of pressure analysis in cycling and triathlon gave way to contact point visibility while giving crucial feedback that was previously unavailable. Instead of asking clients, “How do you feel?” we can now quantify those feelings with the ability to visualize the interface between contact points and changes made via position or equipment. Understanding and interpreting real-time pressure data separates fitters from those who can and those who cannot. At their highest levels, the difference between technology and magic is sometimes indistinguishable. 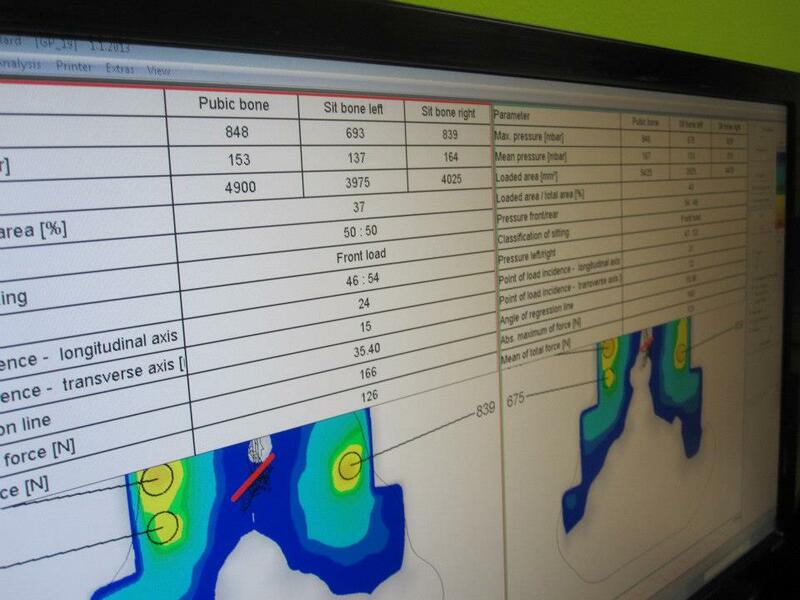 We have implemented the Gebiomized system in hundreds of bike fits at saddle and shoe contact points as a primary system for biofeedback between our client and their bike. In the world of fit, where our primary job is to responsibly adjust symmetrical products to the asymmetries of our clients, Gebiomized has widened the gap between those fitters that play checkers and those that play chess.